This past Wednesday, I was invited to attend a reception at Chancellor Gene Block’s residence on campus with my fellow Bruin Ambassador Coordinators. It was a reception for student leadership and contributions to the campus where Chancellor Block thanked all of us for our outstanding achievements and constant involvement. It was a great networking opportunity and a chance to see fellow active Bruins. His house was gorgeous with a beautiful backyard. There was great food and a Mariachi band playing by the pool–idyllic and relaxing! 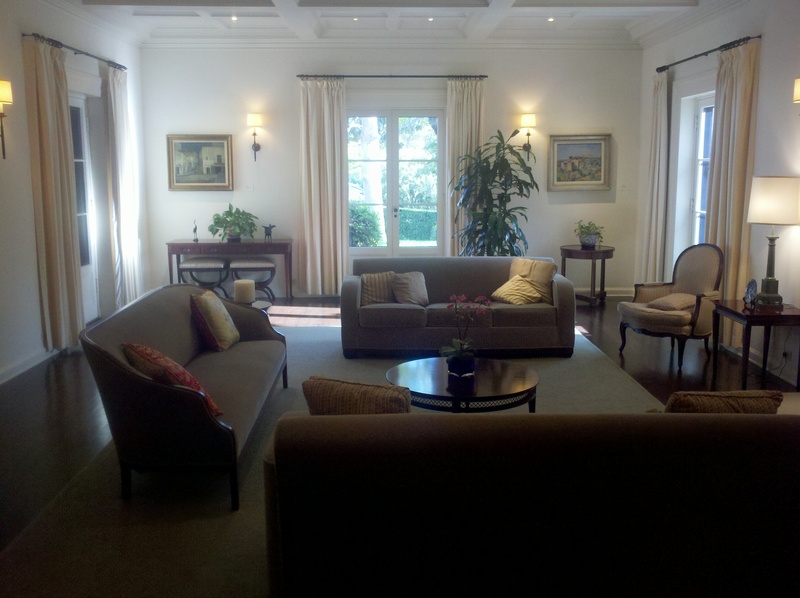 I was able to take a tour of his house, including the sitting rooms, kitchen, dining room, and the Chancellor’s study. It was a special experience and I’m glad I was able to attend. One notable mention that was acknowledged at the reception was the Women’s Golf team who led us to our most recent NCAA Championship, making our grand total 107. Way to go, ladies and Go Bruins! !